Who's ready for New Year's Eve? Don't raise your hands all at once now. I realize it's still a couple of weeks off but I bet you'd be lying to me if you said you hadn't thought about what you're wearing. 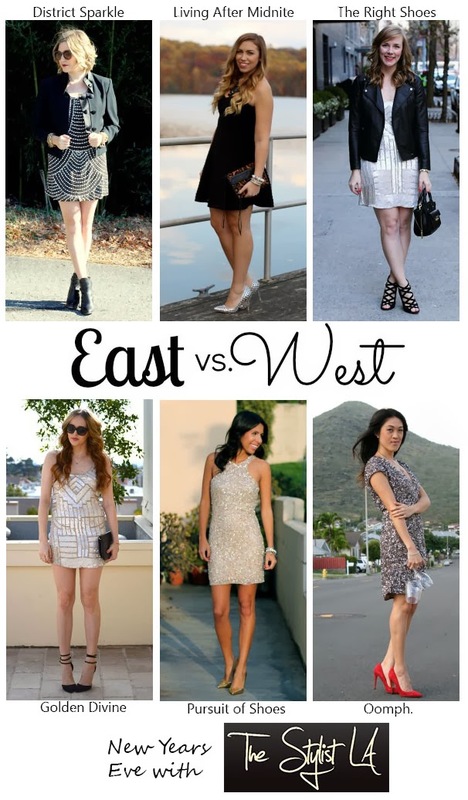 Lucky for you the East v. West Girls are dishing up some New Year's Eve style inspiration today. We're also teaming up with The Stylist LA - head to their site for the perfect NYE dress without the commitment! Just found your blog through the East v West collab. 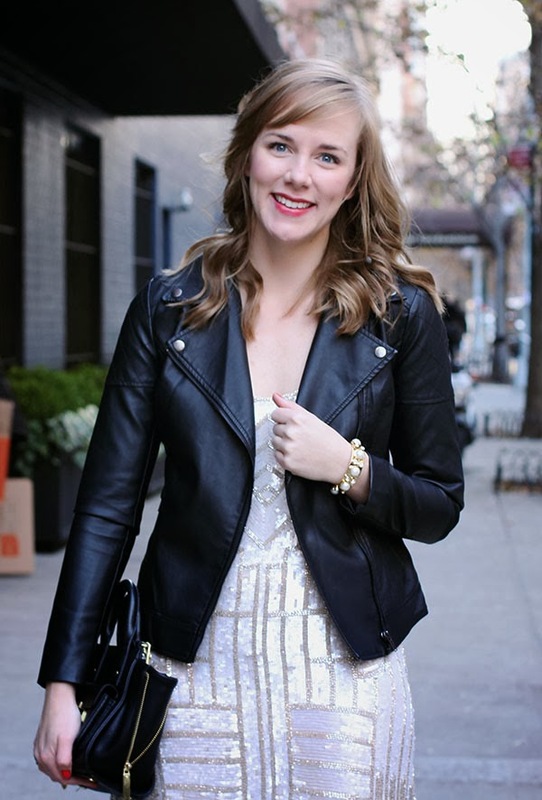 Its always so fun to find other NYC bloggers :) Love how you styled your look!! That dress is fabulous! And I love it with the leather jacket. Perfect for NYE! I LOVE this dress on you!! So sparkly and so pretty!! the dress looks wonderful on you, tracy!! i was surprised to see all you east coasters in bare legs?! lol!